Finally! The lovely season of spring is upon us here in Minnesota! What does that mean? Well, it’s time to say goodbye to the winter weather and get focused on spending your free time on your boat while enjoying spring fishing! Those bass haven’t seen a lure in the water for months, so they are eager to get some extra food. While we at Anchor Marine Repair can’t be there to help you catch the fish, we can however safely get you on the water with our boat repair and maintenance services. Before loading your boat up for its first spring trip, make sure that it is in working order and that it doesn’t need any maintenance services. If so, our dedicated boat repair staff can get your boat back to 100% quickly so that you don’t waste any more time this spring. Use the Correct Lure & Line – With water temperature still being cold this time of year, your bass are not going to want to chase your lure around the lake. Instead, invest in a small lure and remain patient! Slow and steady wins the race when it comes to fishing this time of year. Depending on the type of lure you use, investing in reliable line will help you keep a steady grip on your bass. Typically, the heavier the line, the slower the pace, which is attractive to fish this time of year. Pay Attention to Weather – In Minnesota, you need 2 or 3 straight days of sunny and warm spring weather in order for the fish to be eager. If weather is cloudy, your best bet is to fish the first day the cloudy conditions arrive after a warm stretch of weather. If you find yourself in the unwanted position of having an issue with your boat this spring, leave it up to Anchor Marine Repair to get you up and running quickly. In fact, if you are too busy to drop your boat off for repairs, we offer complimentary boat pick up and drop off services as long as you are within 250 miles of the Minneapolis/ St Paul area. What is your excuse now? With over 45 years of combined boat repair experience, we have seen it all when it comes to repair or maintenance needs. So, now that the spring is here, it is time to start thinking about when your first fishing trip in Minnesota will be. When getting ready for your first fishing trip, make sure you invest in the correct lure and line, and pay attention to the weather patterns. In the same way that those bass are eager and ready for you, our customer service driven team members at Anchor Marine Repair are ready to help you with any of your boat repair or maintenance needs. 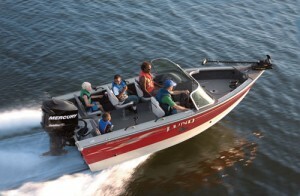 Give us a call today at (763) 972-3540 to set up a free boat consultation.